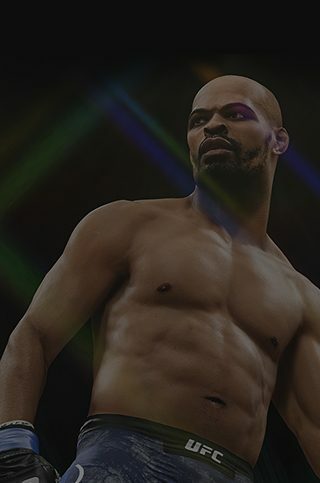 Make your way to the cage with three new fighters in the latest UFC 3 Content Update. 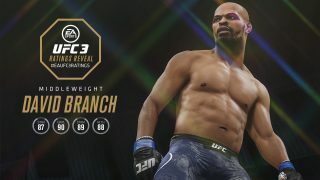 Three new fighters make their way to the cage in the latest UFC 3 Content Update. Get a first-look at Zabit Magomedsharipov, Tai Tuivasa, and David Branch as you get ready to rewrite history with these emerging competitors. See their ratings below and be sure to check out all the additions in Gameplay Update #8 as you take these fighters to amazing heights. Zabit Magomedsharipov: One of the brightest prospects to come along in recent memory, Zabit Magomedsharipov looks like he'll be a serious contender in the UFC's Featherweight division. Striking, Grappling, and Stamina stats of 89 along with an 88 Health rating are indicators of Zabit's well-rounded game, as the 27-year old Russian has finished opponents with spectacular KO's and unbelievable submissions. Play with Zabit in UFC 3 and take advantage of this fighter's extremely versatile abilities. Tai Tuivasa: Heavyweight up-and-comer Tai Tuivasa has powerful hands to go with an undefeated record of 8-0, with 7 of those wins coming by way of KO or TKO. The ability to stop a fight with one punch earns Tuivasa a Striking rating of 87, while strong Stamina and Health stats allow him to stay in the fight deep into later rounds. 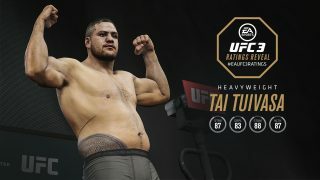 See if you can take Tai Tuivasa to the top of the division in UFC 3. David Branch: An experienced competitor with 26 professional fights, David Branch is in the midst of his second stint with the UFC, and he's coming off an extremely convincing first-round knockout win. His grappling rating of 90 makes Branch one of the most capable submission experts in the game, and all-around capabilities in Striking, Stamina and Health keep this veteran in the fight at all times. New prospects and gameplay changes are constantly being made in EA SPORTS UFC 3, bringing you a dynamic experience thats always evolving. 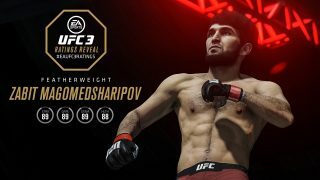 See Gameplay Update #8 for full details on all the latest in-game additions to UFC 3. Follow us on Facebook, Twitter, and Instagram to stay up to date on all things EA SPORTS UFC 3.